Sanchez, D-Santa Ana, said Obama’s promise to work with faith-based groups will be important to educate the public. She also talked about the need to educate people about immigration, which is something that our policymakers should be doing, along with their allies. However, I don’t see Congresswoman Sanchez picking up the immigration torch and running with it. It was Congressman Luis Gutierrez who spearheaded the Familia Unidas tour visiting US cities around the country talking about the need for comprehensive immigration reform. And of course, as Gustavo Arellano has diligently reminded us, it wasn’t until a few weeks ago that Congresswoman Sanchez finally decided to become a co-sponsor of the DREAM Act. I think that Congresswoman Sanchez’s comment is fair, but I also sense that she isn’t fighting hard for and/or effectively making the case for comprehensive immigration reform very clearly. 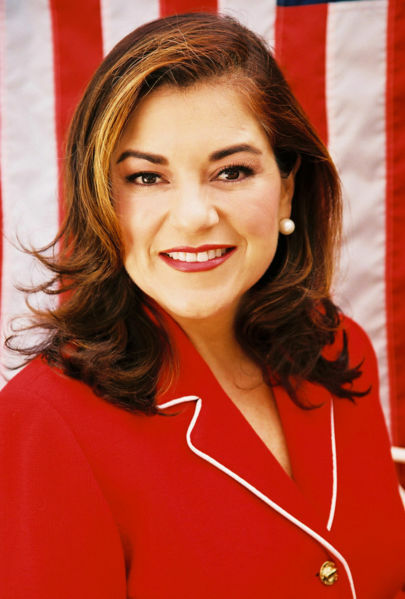 Could it be that Congresswoman Sanchez is firmly in the “enforcement camp”? I quickly scanned her top contributors for this election cycle, and Cogent Systems is ranked second in contributions for Loretta Sanchez. Cogent makes identification solutions, including the kind with finger prints. Hello biometric ID card! For those of you who don’t know about the biometric ID card proposals, just have a gander here. The ACLU, along with other privacy rights organizations, opposes such an ID card, and I could easily see a database of biometric information being abused. I disagree. Nobody in elected office is going to make the case for legalizing millions of people in this poor economy. All the Democrats answer to the Democratic Party and the Democratic Party doesn’t want to pass it. This movement needs leaders who are not beholden to any political party. Actually let me amend that. They need to start a movement. Politicians carry the ball over the finish line. They don’t make the case. Luis Gutierrez is from Chicago, and has known Obama for a long time. He’s obviously Obama’s front man on the issue. The only person I have seen come close to making a decent argument was Mayor Bloomberg. So far, I have only seen very emotional arguments from both sides. re: “Maybe not this year, next year or the following year.” Sometimes I do wonder about our Hispanic Caucus. Of all people, their tone should always be NOW NOW NOW when it comes to CIR. Unfortunately, it seems only Grijavla and Gutierrez have the sand it takes to fight like a foaming boar on a sensitive issue during an election year. We need an Hispanic Caucus that is united on CIR, even if it means advocating a strong enforcement of the border (which I believe Grijavla has). Oh well, I guess. The Senate is taking charge. Sanchez, for now, remains irrelevant. Soon though, CIR will arrive in the House, and Sanchez needs to get her act together, along with the rest of Hispanic Caucus, and advocate Hispanic interests (and for that matter, national interests) in the most-critical Latino affairs issue in at least a generation. It is always tomorrow with the Democrats. let them know that this position is not acceptable.